As an accomplished attorney, negotiator, and litigator, Brad has tried cases before judges and juries in Arizona, Virginia, California, and in Military Courts. 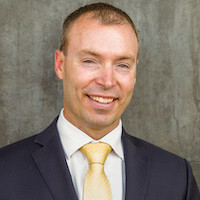 In addition to serving clients in private practice, Brad is also a Major in the United States Marine Corps Reserve where he represents military commands in administrative hearings, consults on criminal trials and teaches trial practice. He received a Distinguished Service Award from the Maricopa County Attorney’s Office and was recognized by the Special Victims Unit for his outstanding service. He has instructed the Arizona Department of Public Safety on the Interdiction of Sexual Crimes. Additionally, he instructed “Testifying” to the Mesa Police Department’s Special Victim’s Unit. He’s also taught “Take Back the Night” at Paradise Valley Community College. At the Naval Justice School, he acted as a guest Judge and lecturer on Cross-Examination and Trial Practice. And for the Maricopa County Attorney’s Office, he has taught Advanced Rules of Evidence (608(b) and 613). He was also the Officer-in-Charge over Legal Team Delta, at The Marine Corps Base at Camp Pendleton, California. He also worked as a Legal Assistance Attorney, and Civil Law Attorney. Brad earned his Bachelor’s Degree in Finance and a Law degree from Liberty University in Lynchburg, Virginia. By graduating from the Naval Justice School, he earned the right to represent members of the U.S Military in military court proceedings. He is currently taking classes to receive his Master’s Degree through Marine Corps University. He is a member of the State Bar of Arizona, the U.S. District Court of Arizona, and Military Courts. Learn more about Brad on his website.